Companies share a common goal to decrease costs while maximizing profits. Finding ways to streamline their supply chain and reduce logistics costs is one of the best ways to achieve this goal. Managing an optimally efficient distribution center takes someone with a high level of logistics management experience that knows every aspect of the business and knows how to manage logistics in a way that benefits your customers as well as your bottom line. Utilizing logistics management is a great way to decrease supply chain costs and reap the financial rewards. 3PL stands for third-party logistics. It is a great way to sub out the headaches and supply-chain concerns that come with any business responsible for moving product from one place to another. It puts the responsibility in the lap of experts with the logistics-management process. An experienced logistics manager knows the best ways to transport a variety of goods through a variety of different forms of logistics and transportation. They handle all aspects of logistics from warehousing to shipping. They can help to maximize the benefits of time and lower costs for your individual product needs. As your business continues to grow, logistics management becomes more and more valuable. 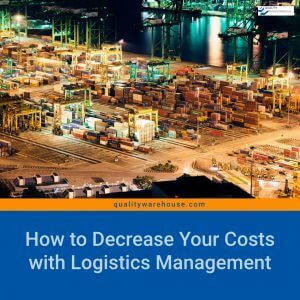 By hiring a logistics-management company, you are free to focus on the continued growth of your business as opposed to the countless hours it takes to coordinate the logistical concerns of ensuring that your products reach customers on time. Using 3PL gives you access to experts that specialize in efficiency. You are left with the peace of mind knowing they have the ability to use a massive network and resources to manage your inventory and shipping while you focus on growing your business. Time is money, and your bottom line is directly benefited when your time isn’t spent on supply chain. You may think you know how to manage logistics, but your time is too valuable to spend it stuck worrying about your supply chain. A logistics-management professional will do this part for you. There is a good chance you are wasting valuable resources on single shipping methods that might seem logical on the surface. Good logistics management goes much further in depth to find the best solutions for your business needs. For instance, maybe you are currently shipping product strictly by truck. There may be a more cost-effective solution such as rail siding that will suit your needs better, even if it’s just for a portion of the product move. Maybe your product is extremely fragile and runs a greater risk of damage with the more hands that touch it. In this case, you may want to minimize changeovers and keep the product shipment as direct as possible in a single form of transportation. 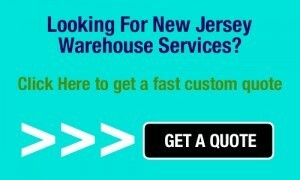 A professional logistics-management company is able to locate and manage the best warehousing solutions for your needs. They can help assess all of these situations and more, and then provide data and solutions to maximize the efficiency of every dollar spent in your supply chain. They can ensure your product gets where it needs to be on time, within budget, with minimal risk of damage. This in turn reduces costly waste, maximizes customer satisfaction, and drives unprecedented growth to your business. Your supply chain is vital to your business. It can also take a great deal of time to monitor. Logistics management is far more complex than a simple mail order and delivery. The logistics-management process gets more and more in depth as your business and inventory grow. Allow experts in logistics management to take the helm of your supply chain and be prepared to reap the profits.